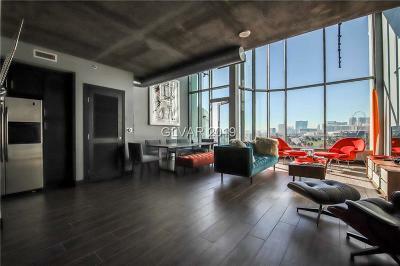 Las Vegas Lofts & Flats For Sale in Metropolis. Stunning High Rise Condos Near The Strip. 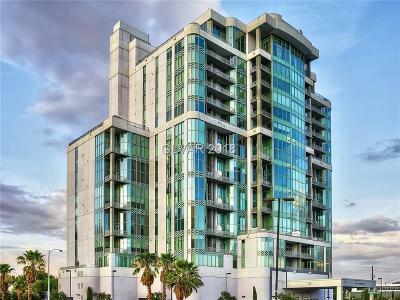 Spacious Loft Style High Rise Condo Living Minutes from The Strip! The Art Deco building known as Metropolis is a combination of two story lofts and single level condominium flats. The two story lofts offer some of the most dramatic views of the Las Vegas Skyline contrasted with the greenery of the Wynn Golf Course. Metropolis units all have balconies that high rise buyers seek. HOA dues at Metropolis are the same for most of the condos & losts, and unlike other high rise condo towers, they do not vary based on square footage, with a few exceptions. Metropolis owners will have to be prepared to pay just under $900 per month for the HOA dues for most units. These luxury condominiums each come with two parking spaces, and some are side by side, while others are tandem. Metropolis seem to be well poised for appreciation due to the walking proximity to RESORTS WORLD, currently under construction, a project being built on the former Echelon Site. This project will give Las Vegas a taste of Macau. Las Vegas Strip real estate was redefined at the inception of the new wave of Residential Vertical Growth when Randall Davis, A Houston High Rise Developer decided to bring Metropolis Las Vegas Condos to town. Metropolis is an Art Deco boutique style high rise condominium featuring a variety of lofts and flats. There is a very special feeling that you get when you are inside the condos at Metropolis. Buyers are often surprised at the warmth, spaciousness, and views that the condos for sale at Metropolis offer. Art lovers especially enjoy the gallery entryways that many of the Metropolis high rise floorplans offer and those who love high ceilings and wood flooring appreciate the custom designs and finishes that these condos near the strip feature. With fantastic views of the mountains by day and breathtaking views of the city, the WYNN RESORT GOLF COURSE and the Las Vegas Strip at night Metropolis has much to offer. When this condominum tower was in the preconstruction stage, the developer offered a design center. Buyers will find that many of the Metropolis Condos and Lofts have a variety of different finishes. Some condos have marble bath or slate bathrooms, and wood flooring in oak, cherrywood, etc. The 2 story lofts are highly sought after and the are unique for Las Vegas Strip area real estate. A Private Wine Room ("Cellar") with full caterer's kitchen for private functions. Art Deco private lobby with a 2-story ceiling. Tandem and or side-by-side assigned parking spaces are available. Access to the private parking garage is through controlled access gates. Exterior is EIFS, glass, with accents made from pre-cast concrete. There is 8" or 9" of concrete between floors. The party walls are double wall construction with four layers of drywall and sound insulation between the studs. Detailed and varied balcony railings compliment the building. The Building includes Lofts and Flats. All residences have a balcony/terrace. Total square footage varies with floor plan. Loft ceilings are 9' on the lower level and 9' on the upper level. The open Loft living areas have 19' 6" high ceilings. Flats have 10' 9" ceilings. The front door will be either single or double 7'x 7' 6" or 8' solid core, depending on the floor. Most units to have two (2) AC units. Appliances are stainless steel General Electric & include side-by-side refrigerator, dishwasher, oven, microwave and an electric cook-top with down draft ventilation. Wine chillers are included as standard features in most condos. Master bathrooms have a 6' whirlpool tub and OVERSIZED shower. Guest baths for most units have a 3' shower or larger. Plumbing fixtures are chrome finished. Lighting consists of track lights, stem halogen and other fixtures. The building is wired for cable TV, multiple phone lines and high-speed internet. And, of course, there are the VIEWS!! FOR ALL YOUR METROPOLIS LAS VEGAS CONDO AND LOFTS NEEDS. The Stark Team has been very successful in helping both buyers and sellers in this boutique high rise tower. We have a very strong track record of Metropolis sales. We were involved in the pre sale of this tower and know what makes these units so appealing. Metropolis is a lower key high rise. You will not have a valet, nor doorman, at your beck and call, but you will have a 24 hour concierge, double parking spaces, floor controlled access, and unbelievable views. At night, you can now see the HIGH ROLLER Wheel light the Vegas skyline. Can you tell how we love these units? Let us show you why!